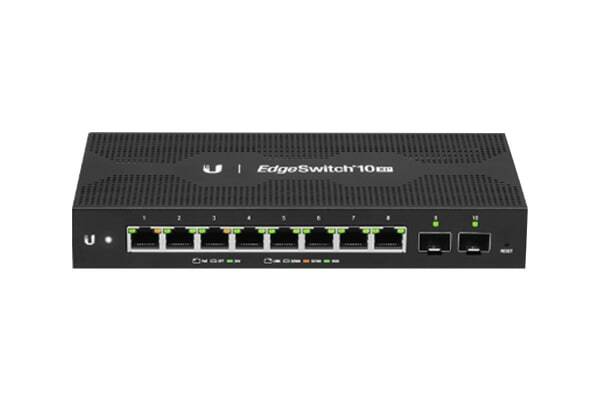 Ideal for WISP deployments, the Ubiquiti Edgeswitch 10XP is a managed PoE switch with SFP ports. 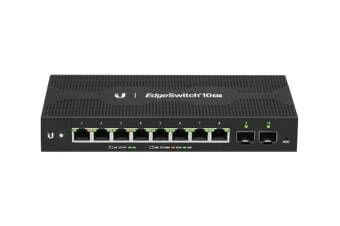 Eight Gigabit RJ45 ports offer copper connectivity with 24V PoE output, while two SFP ports offer fibre connectivity. The Ubiquiti Edgeswitch 10XP consumes 50% less power than the previous-generation EdgeSwitch XP, allowing for passive cooling. The EdgeSwitch 10XP is supported and managed by UNMS (Ubiquiti Network Management System), a comprehensive controller with an intuitive UI.